Winnebago County Sheriff's Office released 911 calls from the massive pileup that happened Feb. 24, 2019 on I-41. 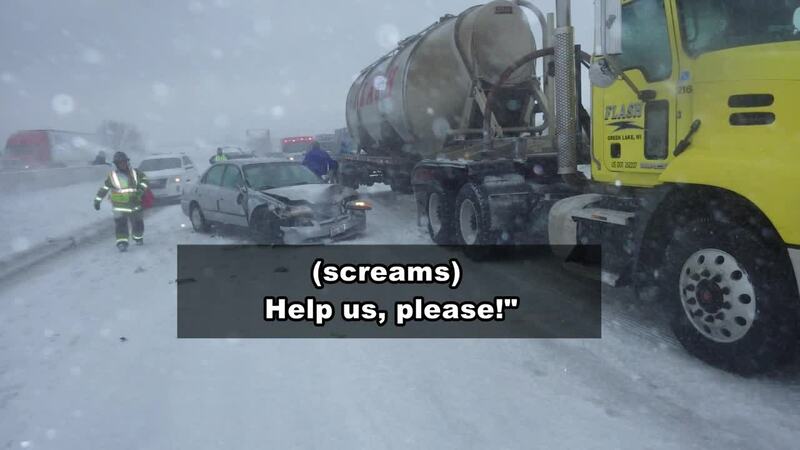 WINNEBAGO COUNTY, Wis. — On Monday, Winnebago County Sheriff's Office released 911 calls from the massive pileup that happened Sunday on I-41. Operators in Winnebago County fielded more than 700 911 calls. One man, Andrew Schefelker , was killed in the chain reaction crash that involved 131 vehicles, authorities say. The Sheriff's Office says a call for the crash first came in at 11:10 Sunday morning on I-41 southbound near County Road G.
Interstate-41 southbound through Neenah reopened after being closed for 15 hours.